It is a sport or activity which is based on several different types of strokes. What we mean by stroke is not something extra ordinary. These are just the different ways of moving one’s arms and legs to keep your body moving on the surface of water. It is essential for a swimmer to make certain that he/she doesn’t splash water while executing swimming stroke as this will ensure how skilled swimmer are you. Also, smooth movements come with skillful stroke executions. Butterfly Stroke: It is a form of swimming stoke on which a swimmer swims in breast while stroking his both arms simultaneously. 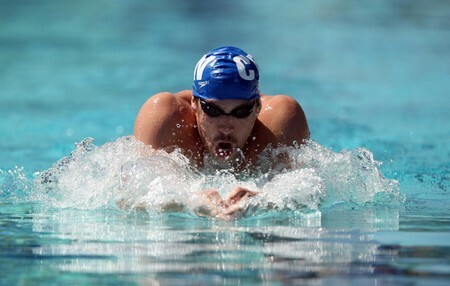 It is important to note here that butterfly stroke technique is quite complex to learn than backstroke or breaststroke style. The butterfly stroke technique involves the participation of your entire body as your arms, upper body, and feet are all engaged in this technique. Crawl: Crawl or the front or forward crawl is one of the fastest swimming styles among all the others. This style is one of the two long axis strokes. The second is backstroke. Dissimilar to butterfly stroke, breaststroke and backstroke, this swimming style doesn’t controlled by FINA rather practices mostly as a freestyle swimming. The front crawl is often called the Australian crawl or the American crawl. However, it is more commonly recognized as a front crawl swimming style. Apart from this, this style is often assumed as freestyle swimming as well. Breaststroke: Breaststroke is another swimming style where the swimmer is swimming on his/her chest without even rotating the torso. Breaststroke is most widely used swimming style. If you are intended to learn swimming, you will be taught breaststroke or the front crawl on the very first stage. For regular swimming, breaststroke is just about fine, but if you are planning to participate in any breaststroke swimming event, you have to bear this thing in mind that this style requires a lot of stamina along with strong legs. 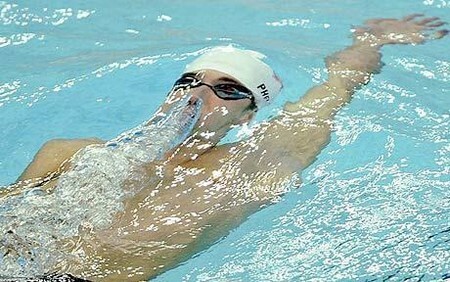 Sidestroke: It is another form of swimming stroke where a swimmer normally lays on his/her one side. Sidestroke swimming style is considered as a lifesaving method that can be used to swim longer distances. A swimmer can swim with an increased stamina with sidestroke style as in this style he/she needs not to use both his/her arms and legs simultaneously to propel the water to move forward rather stroke his/her arms and legs simultaneously, but alternatively. When a swimmer gets tired of swimming on the one side, he/she can turn over to other side for swimming. Backstroke: Backstroke swimming style is another popular swimming style among swimmers. Those who are well-trained and have good skills in this sort of swimming style can cover larger distances and that too with quick pace. However, backstroke swimming style is not as simple as it seems. It is complicated and requires a lot of hard work. If you are a beginner, you need to have a professional trainer with you. You need to swim on your back which is quite a hard time for many beginners as they feel tentative while practicing this swimming style. You cannot learn the art of swimming on your backstroke until you conquer your fear. Another positive feature of this style is that it requires less rapid breathing because they are moving at a slow speed and their heads are usually outside the water at most of the time. Freestyle Swimming: One of the most practiced swimming styles that is more effective as well as fastest. With this swimming style, the body of the swimmer remains in a streamlined posture. In freestyle, arms are moved alternatively, while legs flutter continuously. This is perhaps one of the easiest styles to learn. Dog Paddle: It is known to be the oldest swimming style that is used in ancient times by primitive people. In dog paddle style, a swimmer lays on his/her chest and move his/her arms and legs alternatively. This is pretty much similar to the swimming style of dogs and many other animals. It is for this resemblance in style with animals, particularly with dogs, this style is given the name of dog paddle style.